Since weekends can be super lazy sometimes – so it is important to prep your skin for the week ahead. As women, we find the time for everything that is important and give more to others than to ourselves. At The Blush Works, we are starting a series of Self-grooming tips and videos, to keep all our ladies motivated and looking good. Remember, taking care of yourself is just as important as taking care of others. Why does self grooming matter? Looking good is the key to feeling good. Even if you are a stay at home mom, it is healthy to look good and presentable for your own self. To eat right, to take out time for skin care everyday, to keep your upper lips from turning in to a ‘stache, and all that good stuff we struggle with. A happy person is a blessing to everyone around him/her and also to their own self. 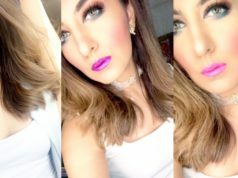 The US Based Make-up Artist Badiya Nighat brings us this quick review of the Glam Glow Multi-Masking Set and shows us how to pamper your skin, even if you are fighting with acne. This is helpful for our future brides as well! Since you will be going through such a major transition in your life; from the comfort of your parents home where everything is provided for, to becoming a responsible woman of her own home, you definitely need to have a set of priorities where yourself should come in the first 5. Hope you guys enjoy this! Ask us any questions you like and please leave your feedback/any suggestions for future videos. I believe in the power of makeup. 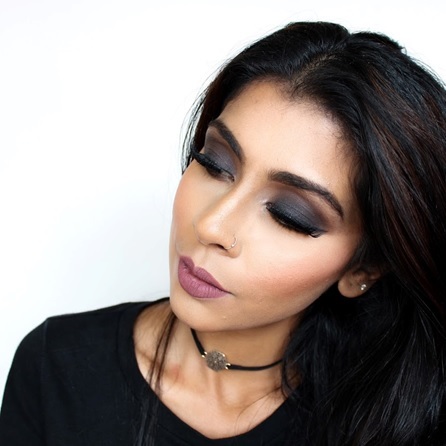 Makeup is not about artificial beauty, in essence it is entirely the opposite. My goal as a makeup artist is to make you look the best version of you. 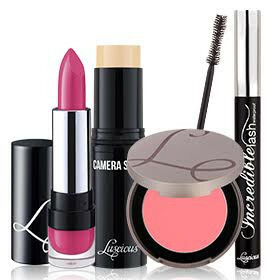 Product Review: Luscious Cosmetics FTW!